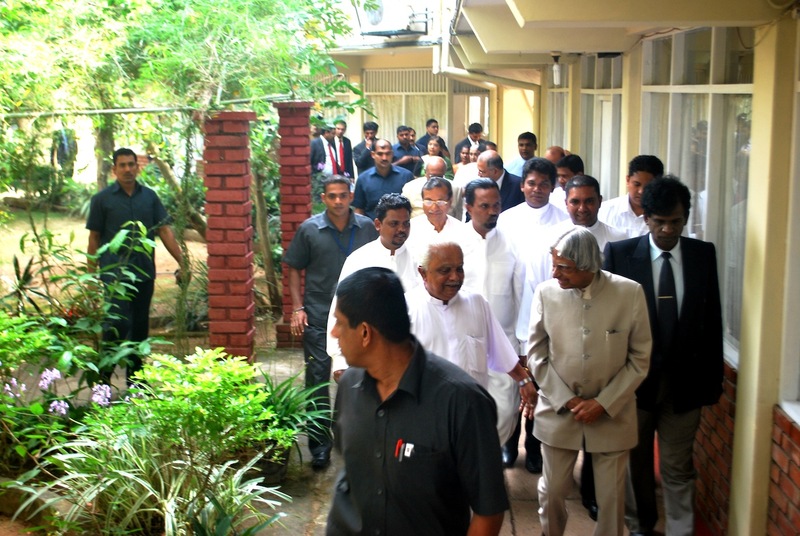 During his three-day official visit to Sri Lanka on invitation of the Government of Sri Lanka to launch the Tri-lingual Sri Lanka initiative, Dr. Abdul Kalam, the former President of India visited Sarvodaya Headquarters and Sarvodaya Suwasetha in the morning of 22nd January 2012 showing his deep respect towards Sarvodaya Shramadana Movement and its founder. 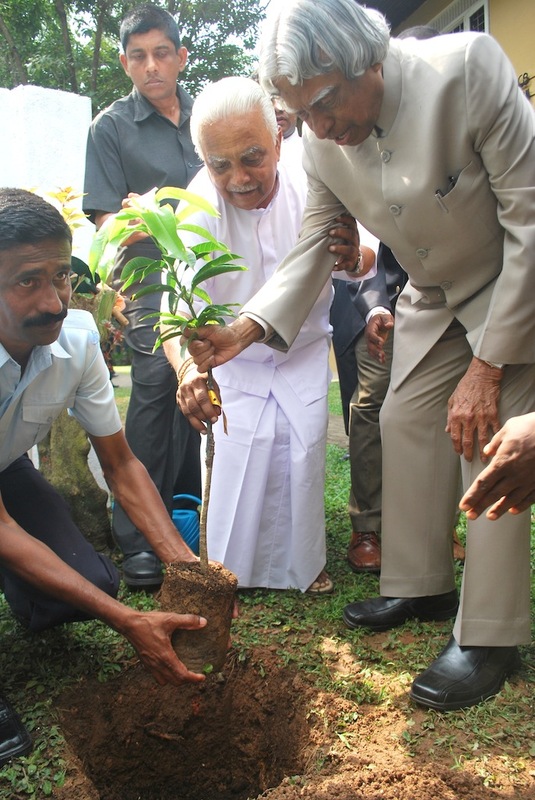 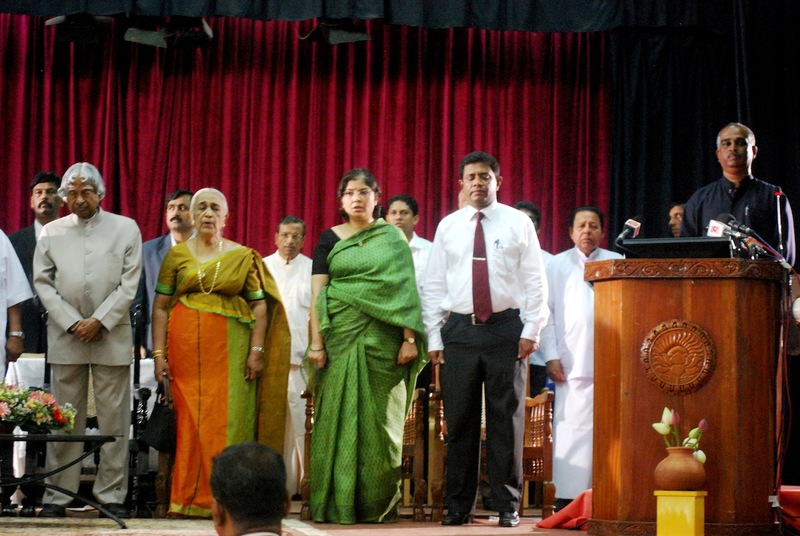 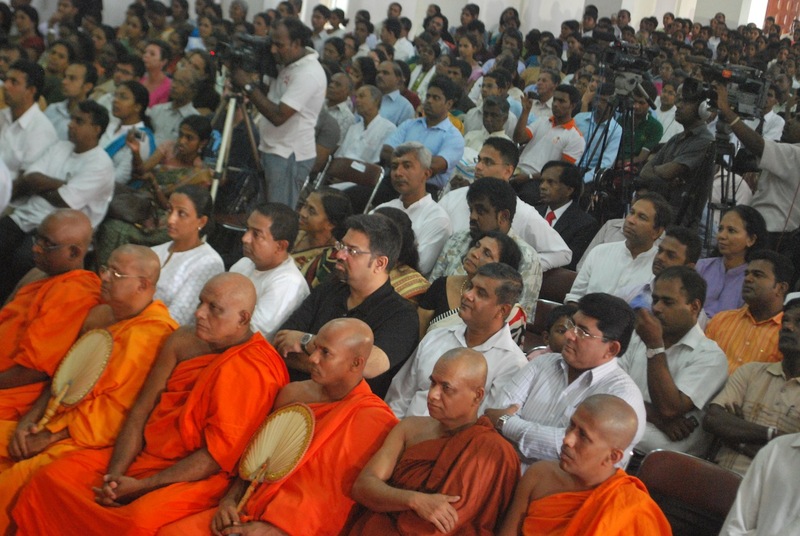 Dr. AT Ariyaratne, the Founder President of Sarvodaya and Mr. Samanlal Fernando, the Mayor of Moratuwa Municipal Council welcomed the distinguish guests including His Excellency Ashok K. Kantha, the High Commissioner for India. 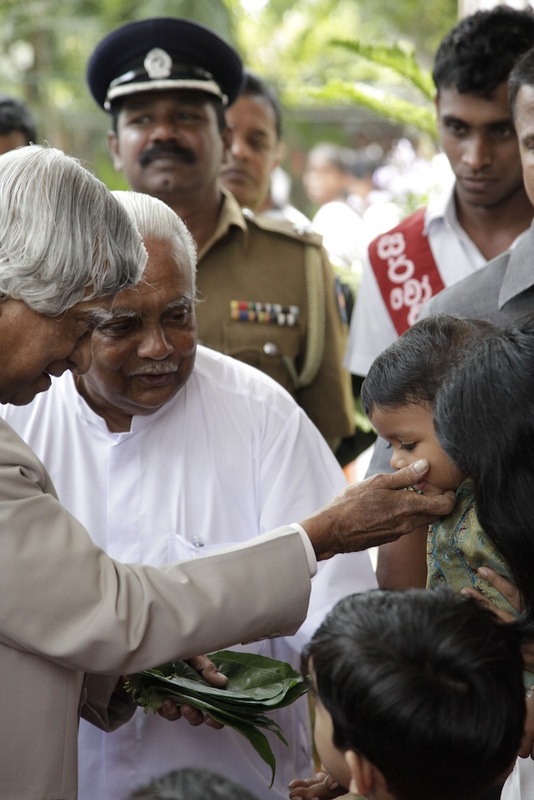 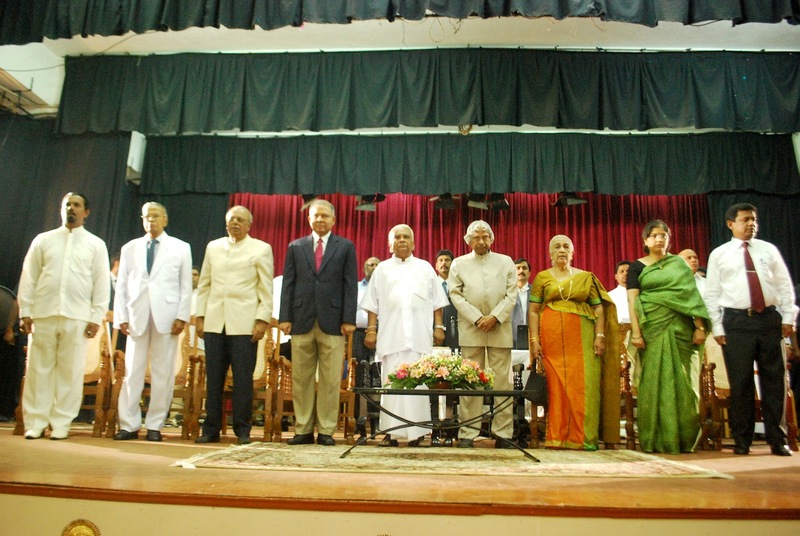 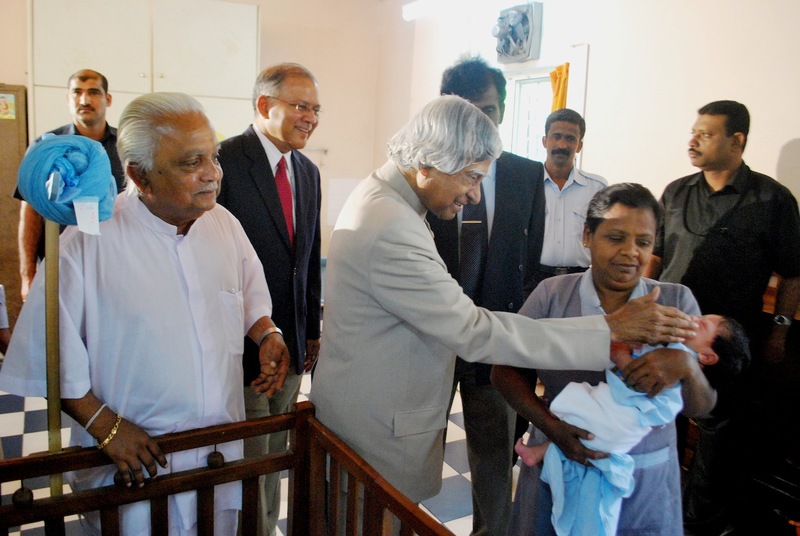 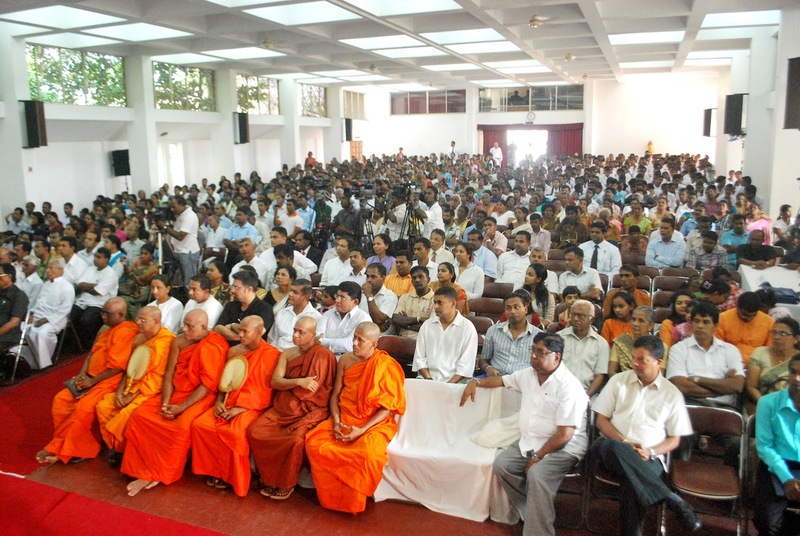 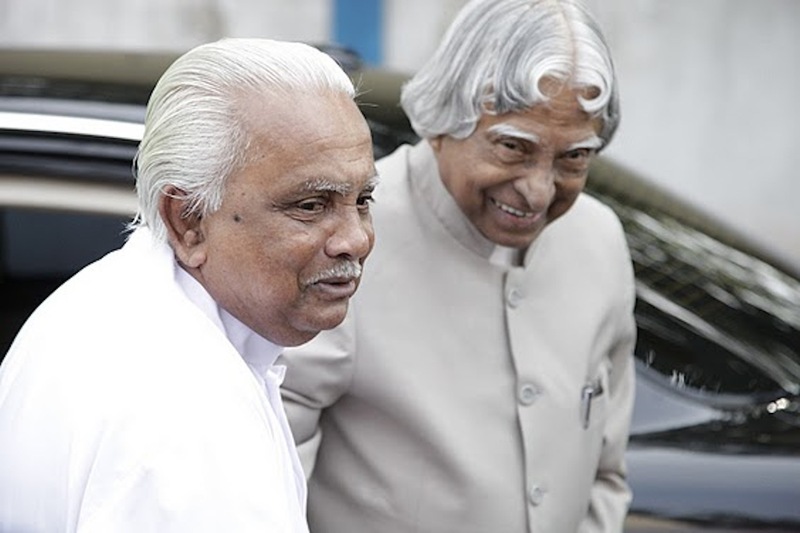 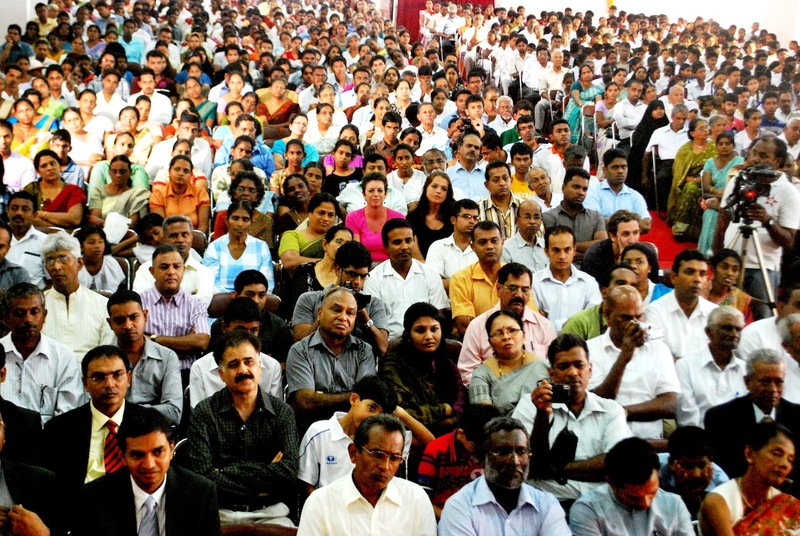 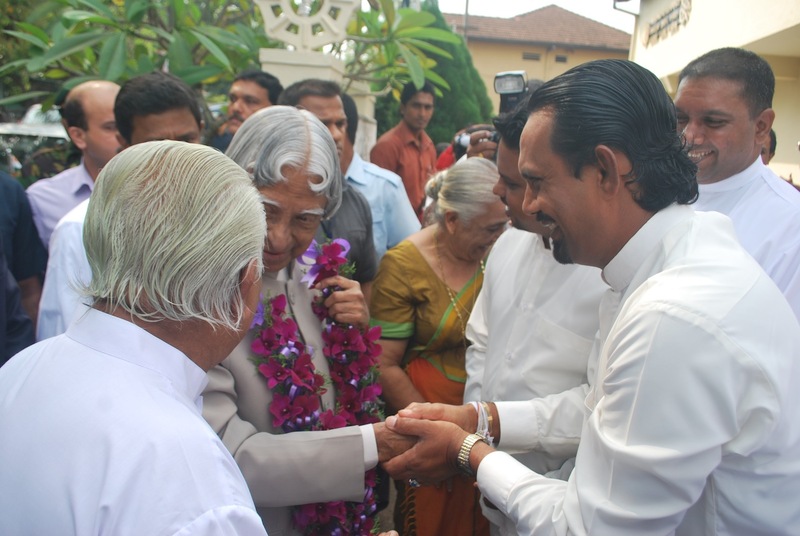 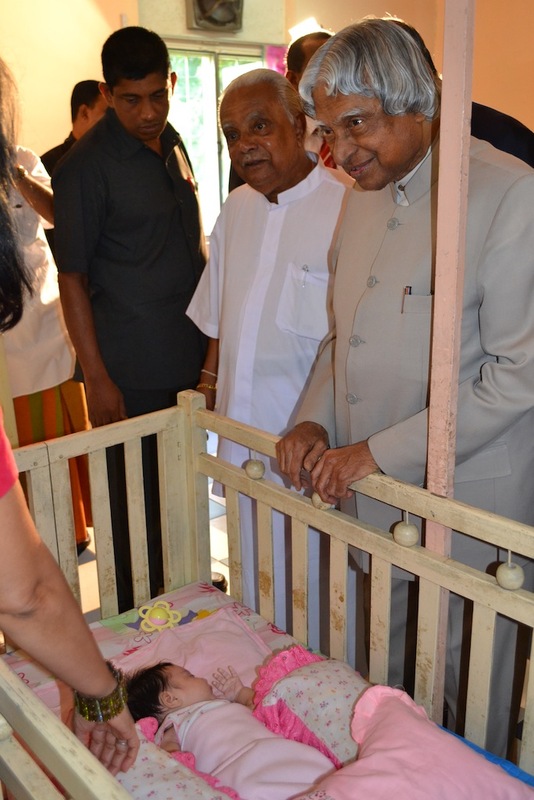 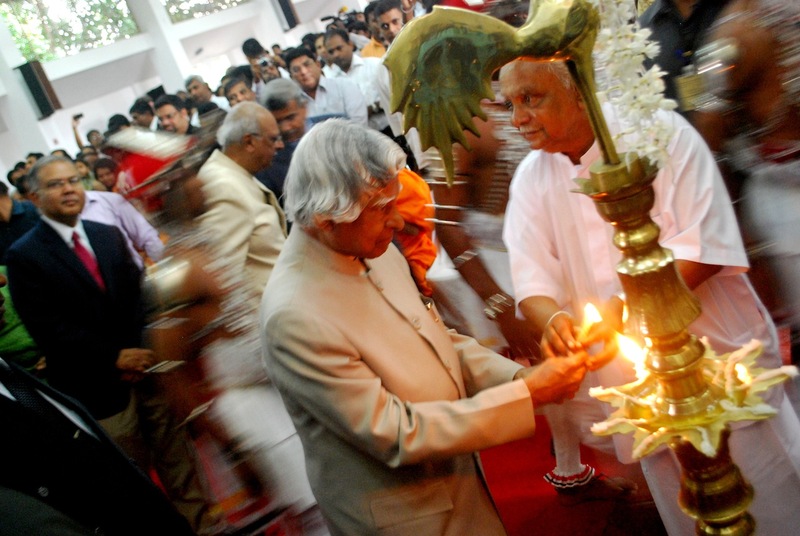 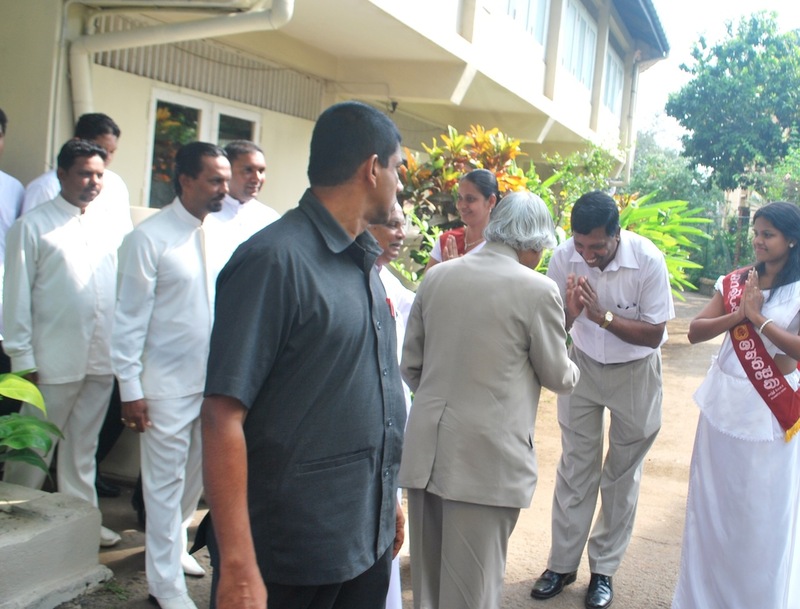 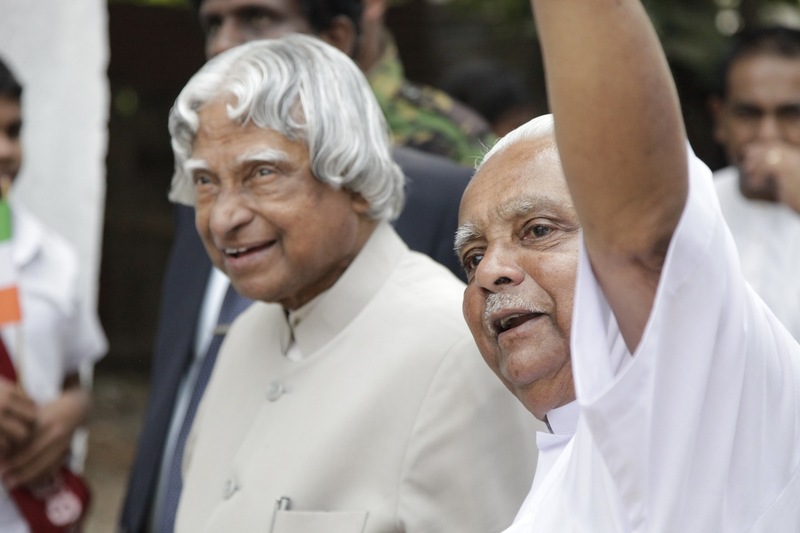 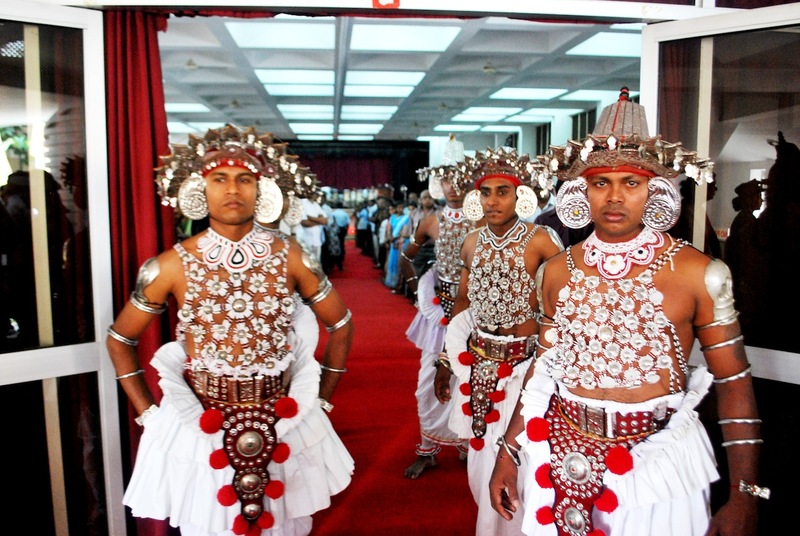 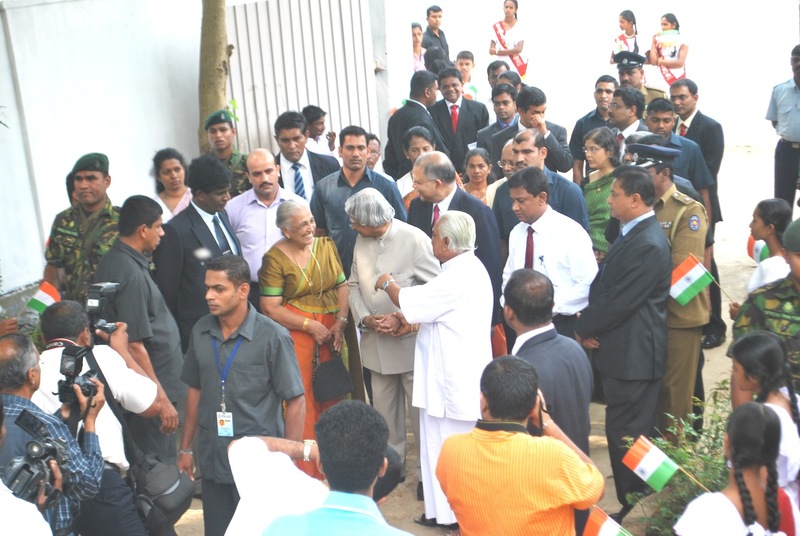 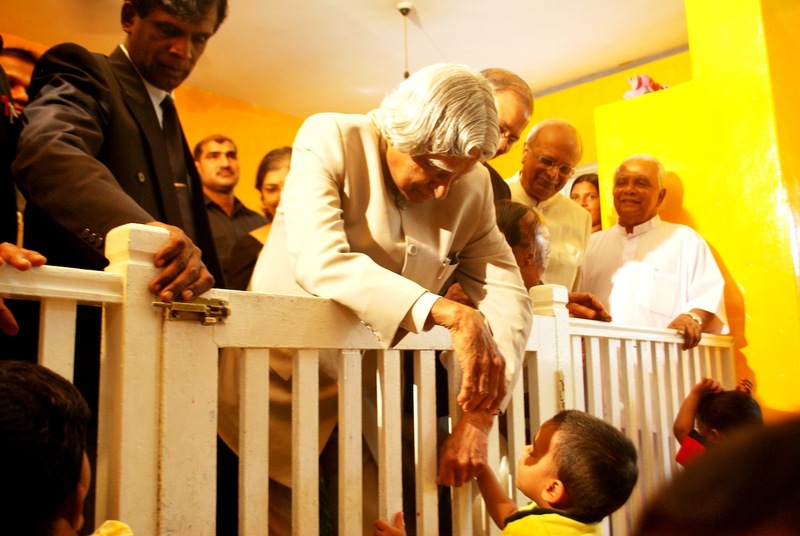 After visiting Sarvodaya Suwasetha, Dr. Abdul Kalam was officially welcomed by Dr. AT Ariyaratne at Vishva Samadhi Conference Hall, where more than 1,000 people gathered to greet Dr. Kalam. 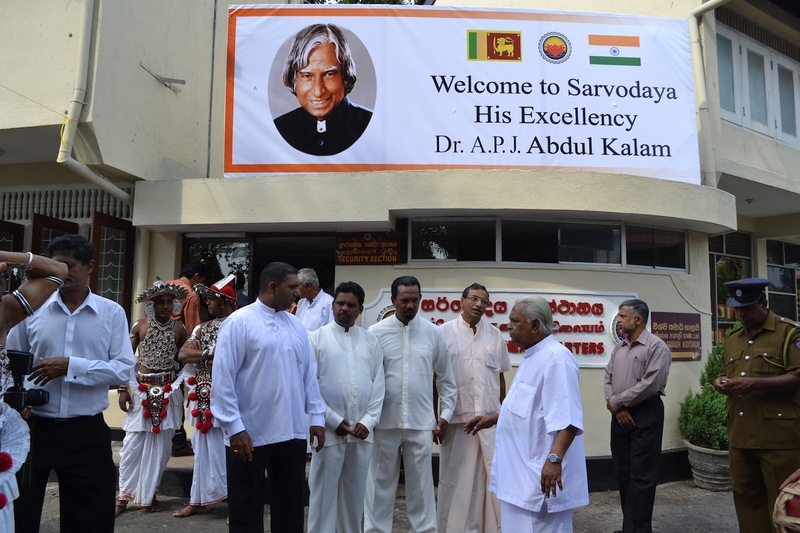 Dr. Ariyaratne mentioned Dr. Kalam’s visit to Sarvodaya is great honour to the entire Sarvodaya family across the country. 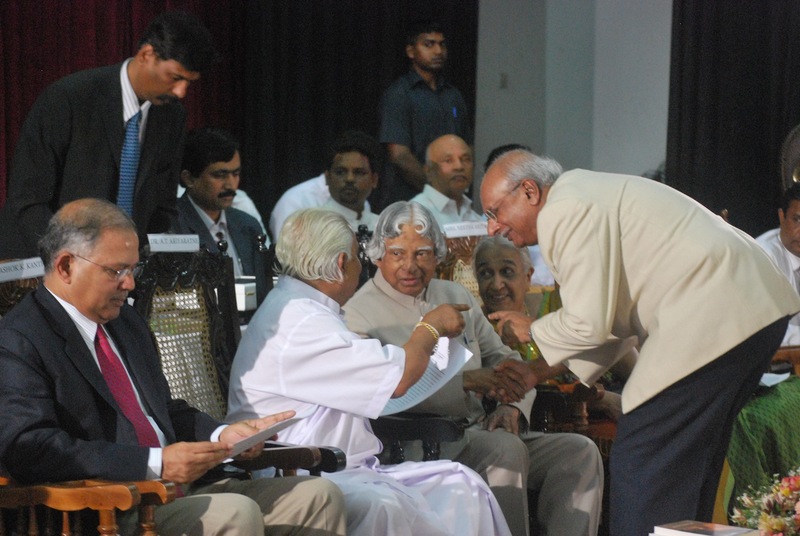 Dr. Abdul Kalam addressed the gathering with a inspirational lecture titled ‘What can I do?’. 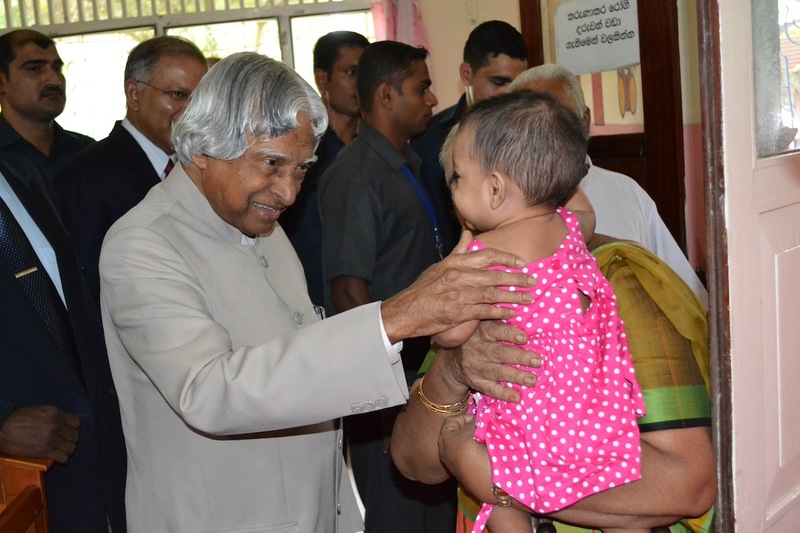 He mainly spoke to the children and youth and during his speech he highlighted the importance of knowledge, creativity, righteousness of the heart and courage of youth. 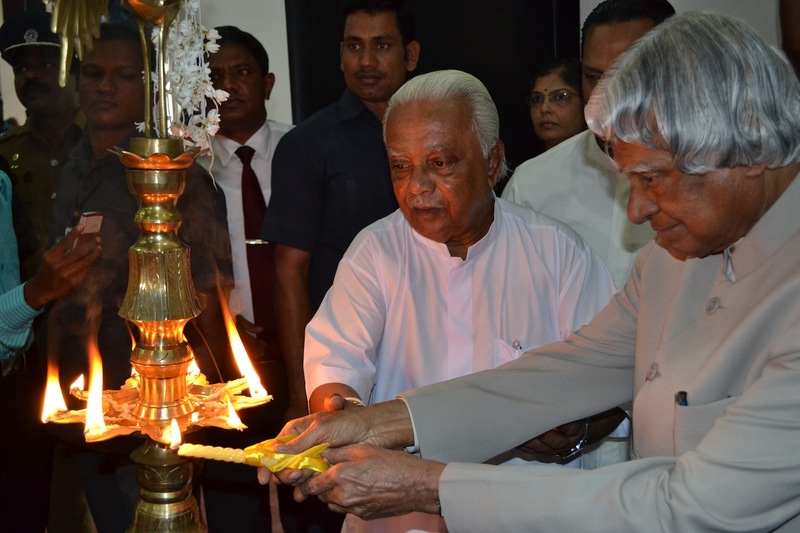 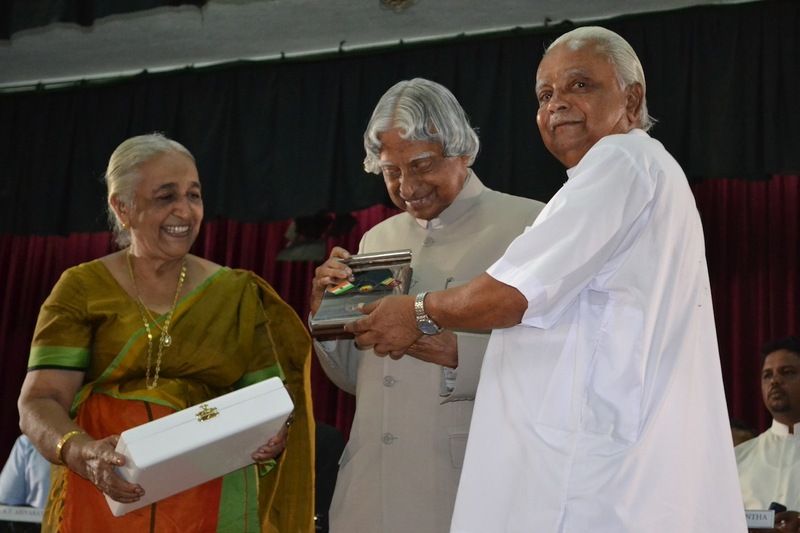 Dr. Ariyaratne presented special Memento to Dr. Abdul Kalam as reminder of this historical visit. 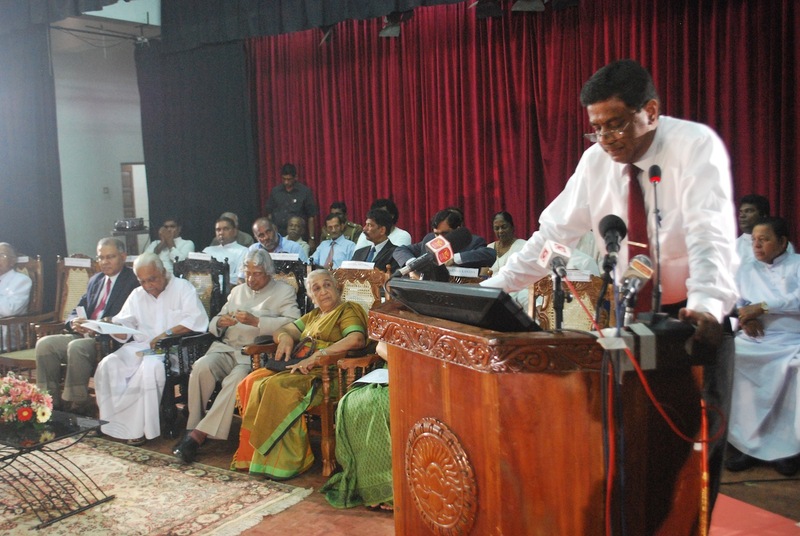 Mr. Saman Algoda, the Executive Director of Sarvodaya delivered the vote of thanks. 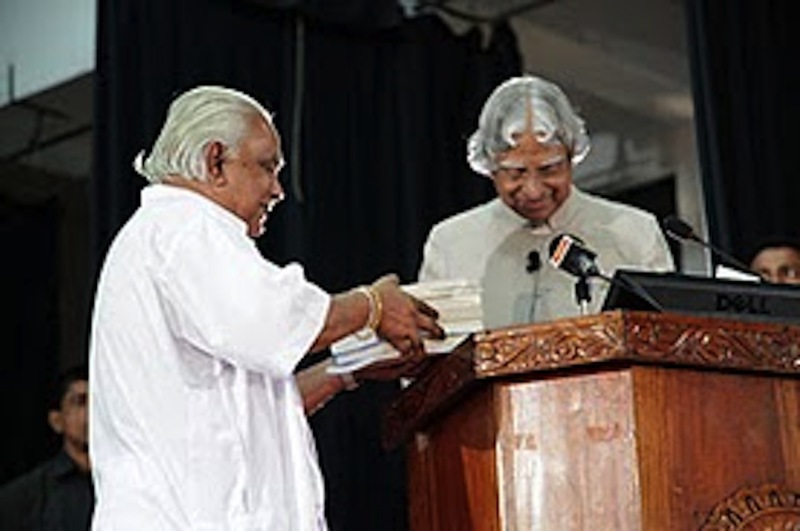 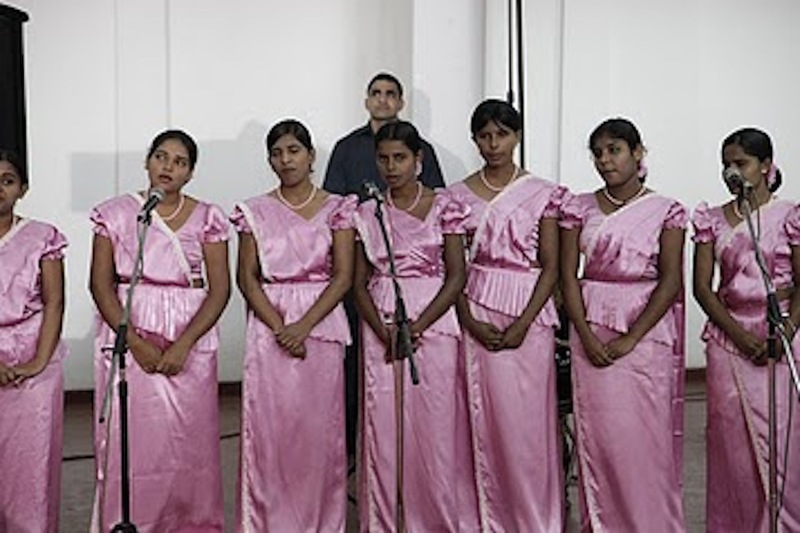 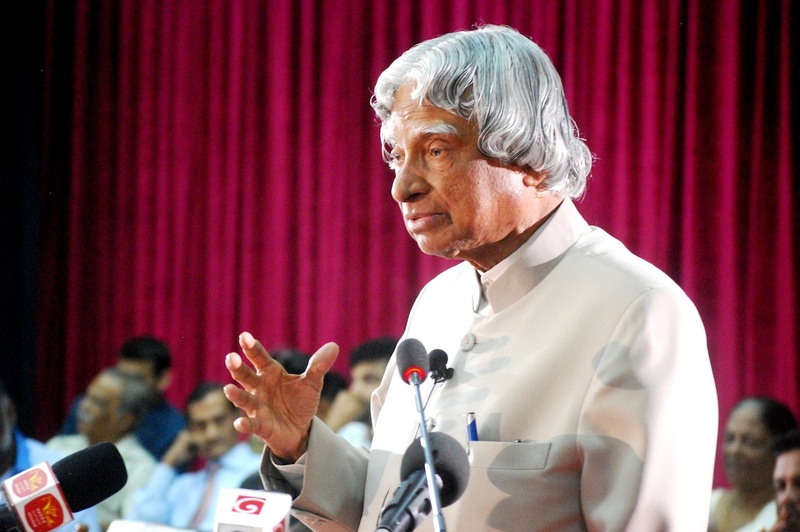 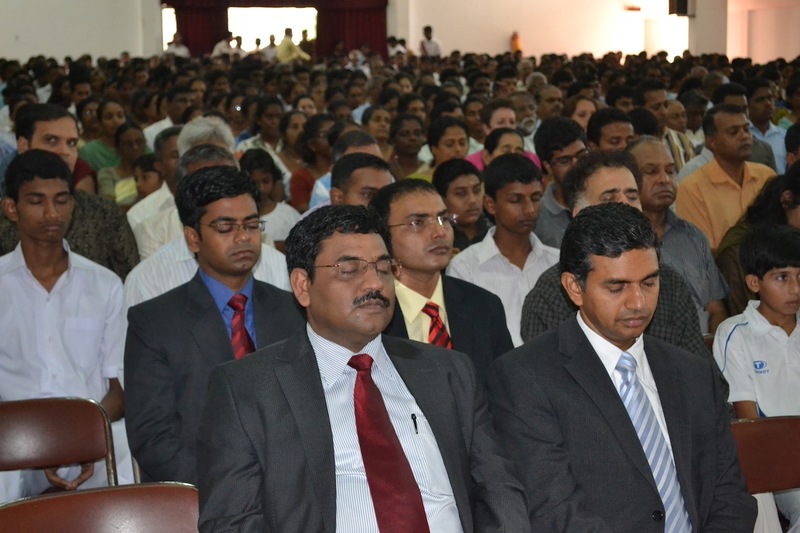 Dr. Abdul Kalam’s lecture is available here in Sinhala and English languages. 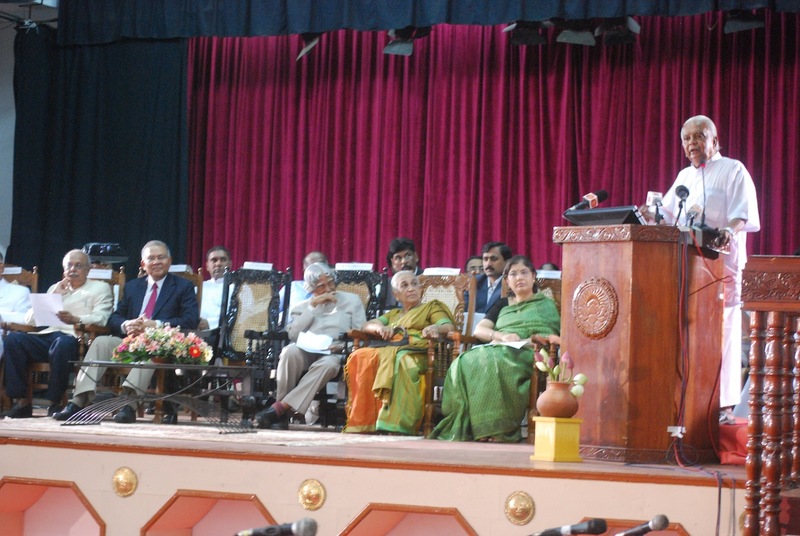 The video of his speech is also available with this link.